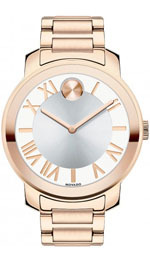 The Swiss company Movado has been making quality timepieces for more than 100 years. While their early models did offer some unique styling, the company began to draw worldwide attention in 1948 with the introduction of their iconic Museum watch, which featured a black face which was blank aside from a dot at the twelve o’clock position. 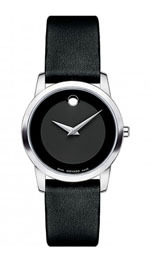 This design has influenced their styling ever since and it’s what most people think of when they think of Movado watches. In fact, their styling is quite diverse and has become more so within the past decade. 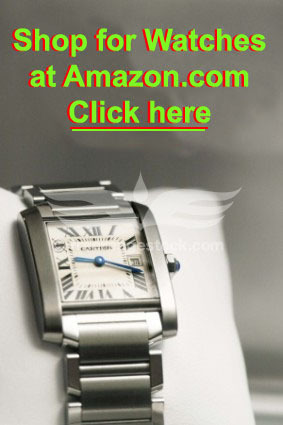 Their watches are attractive, reliable and affordable. Read on for the full Movado watches review. Like many timepieces built by long-lasting companies, Movado watches are well built, using Swiss movements. Many of their models are water resistant to as much as 200 meters, and their cases are made from stainless steel, titanium and carbon fiber. These are rugged, reliable timepieces that should, with care, work well for years to come. As the company has been around since the 1880s, all models initially had Swiss mechanical movements, either manually would or self-winding. They still offer a few of these in their top of the line timepieces, but today, most Movado watches make use of Swiss-made quartz movements, which are accurate, reliable and require relatively little maintenance. The company isn’t really known for technical innovation; their strong suit is styling. The lineup does include models with features such as moon phases and chronograph elements, but they really aren’t technical innovators. They simply take proven technology and use it in the best possible designs. That said, they do quickly embrace new technology; some of their high-end models now sport high-tech carbon fiber and titanium cases. There aren’t yet many makers using carbon fiber; it’s strong and exceptionally lightweight. The styling can be deceptive, as many people believe that their minimalist Museum watch represents their entire Movado watches product line. In fact, the company currently offers some 250 different models for men and women in a variety of styles and colors. Granted, many of their models are based on that iconic design, but they now offer a surprising amount of diversity in their product line. With one exception, all of their watches use analog displays, but many show bright flashy colors, with colored bands and numerals on the face. They offer casual designs, business styles, and dressy, elegant designs, as well. They also offer sports models with all of the useful features that one will expect from a chronograph. If you like the classic looks, they do, of course, have many models that evoke the Museum watch, with a lot of models featuring basic black, with gold and silver accents. As with many other luxury watch brands, these watches should be stored carefully, away from magnetic fields, caustic chemicals and extremes of temperature. Automatic movements should be worn regularly or stored in a watch winder to keep them working properly and displaying the correct time. The company’s quartz models are surprisingly stingy with batteries; we got five years out of the battery in our Museum watch, and from what we understand, that sort of battery life is typical. We recommend replacing the battery every three years and you should probably have it done by an authorized dealer or a jeweler. Sports models should be inspected by a jeweler every few years to ensure that the watertight seals on the case are intact. You’ll receive a two year factory warranty against defects in materials and craftsmanship. As warranties on luxury watches go, this is somewhat on the low end of the scale, as some companies offer five year, ten year, or even lifetime warranties. On the other hand, most factory defects will become apparent relatively soon after purchase and we can attest from personal experience that the customer service is exceptional on those rare occasions when warranty issues come up. Extended warranties may be available for purchase from your retailer; please inquire at at the time of purchase if this concerns you. 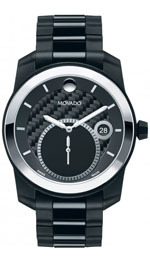 As luxury timepieces go, you’ll find the pricing of Movado watches to be moderate. That’s not to say they are inexpensive; it’s just that one can spend far, far more on a designer wristwatch than you will have to pay to own one of these. They currently offer more than 250 different models, and they range in price from $150 to $7500. As with other luxury manufacturers, the company frequently offers limited edition products, and these sometimes sell for premium prices and often sell out relatively quickly. As the company is a long established one with a strong reputation, you’ll find that the brand is quite collectible, and often sell for premium prices in the secondary market. That’s particularly true of older models, but many newer, limited edition models sell for considerably more than their original purchase price on the collector’s market. This means that your purchase today may appreciate over time, making a smart purchase even smarter. You can purchase the brand at a variety of retailers. They are mostly sold at authorized dealers, which tend to be fine jewelry shops and upscale department stores, which you should be able to find in any major city. You can also occasionally find them for sale online. Be aware that it may be difficult to find any single retailer that offers the entire product line, as it is quite diverse, and few retailers have room to display several hundred models from a single maker. If there is a particular model you’re looking for, you may have to shop around a bit to find it, especially if you’re looking for a limited edition model or one that has recently gone out of production. If you like simple, classic, iconic styling, particularly when combined with rugged build, reliable materials and precise timekeeping, you’ll love Movado watches. They range from moderately priced to relatively expensive, but they offer a wide range of colors and styles, both mechanical and quartz movements and come with exceptional customer service. All of these elements combine to make Movado watches a smart buy for any savvy shopper.